Brooklyn Prescott (if that’s even her real name) is the new girl at The Rosewood Academy for Academic Excellence, now that she’s moved back to the States after two years living in London. Rosewood, a boarding school for children of the rich and famous and known for its celebutantes, is missing just one element important to any junior’s education: boys. But luckily for Brooklyn, and the rest of the Rosewood girls, there’s a boys’ boarding school, The Westwood Academy, just a few miles away. On her very first day, Brooklyn meets Will, a gorgeous and flirty boy on campus to help with move in. But is he who she thinks he is? And what about Brady, the cute stable boy? Or Jared, the former child actor with his grown-up good looks who can always make her laugh? As Brooklyn settles in at Rosewood, she’s faced with new friends, new challenges and new opportunities to make herself into the girl she always wanted to be. Whoever that might be. 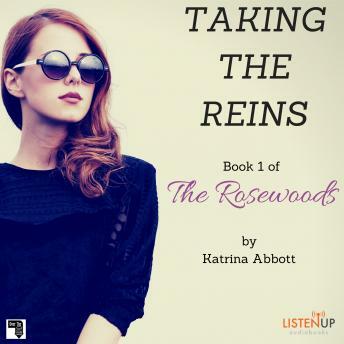 Taking The Reins is the first installment of The Rosewoods, an exciting new Young Adult series for readers who love fun, flirty love stories.